As the world becomes smaller and smaller, learning a new language is an excelente way to connect with more people. Whether your dream is to teach, work in the business world, or dedicate your life to healthcare, learning to communicate in Spanish is an invaluable asset! We offer both a Spanish certificate and a minor in Spanish at Indiana University Kokomo. With course topics ranging from Spanish grammar to culture, you’ll get the solid foundation you need. 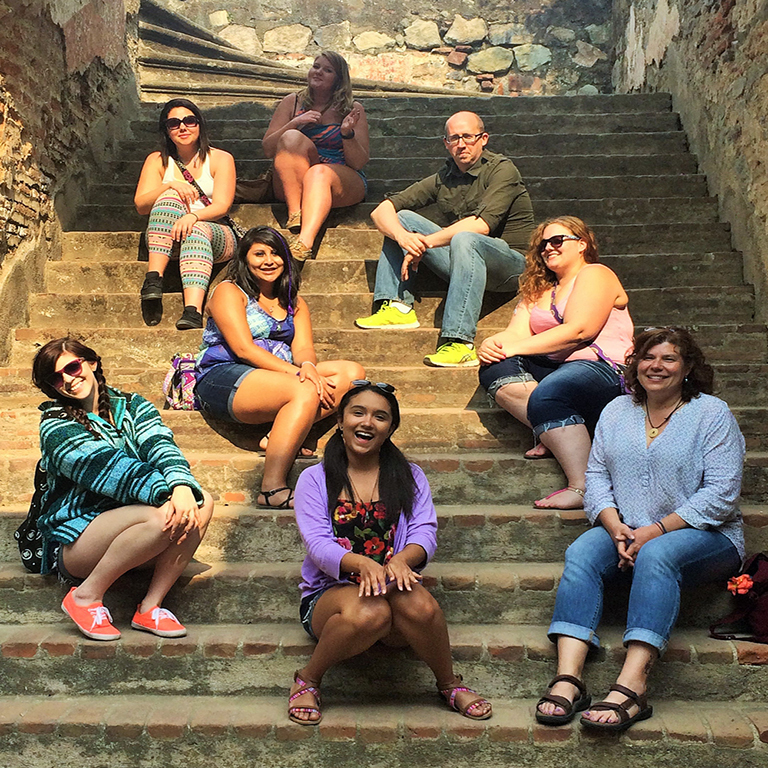 We also take our Spanish studies outside the classroom with annual international trips to places like Guatemala. You can also get involved with Spanish faculty and your peers by joining the Spanish Club. Students can earn a certificate in Spanish by completing two years of courses. This can be either in Hispanic Culture and Conversation or Oral Spanish for Teachers, with one more high-level Spanish course. This minor allows students to place special emphasis on the study of Spanish as a foreign language and culture, with a secondary emphasis on literature. This program can accompany any number of degrees to broaden skills and help make a resume even more appealing in our ever-expanding global economy. Students will need to take some required courses, plus some high-level Spanish courses. Ready to say Hola to a certificate or minor in Spanish? For the most current requirements for the Spanish certificate and minor, please visit our Academic Bulletin. If you have more questions, you can always contact our faculty and staff.